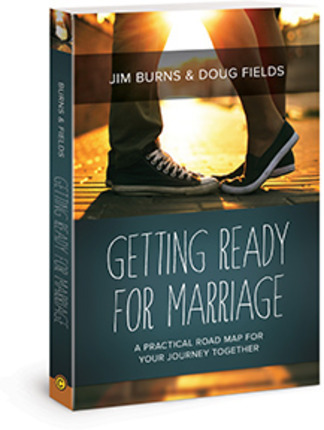 High profile authors, speakers, and relationship experts, Jim Burns and Doug Fields, pour decades of experience into a fresh, current, and practical guide tailor-made for couples approaching marriage. What makes a marriage thrive? Explorations of family history, communication styles, money matters, and sexual intimacy help couples define and prepare for the work (and rewards) of a healthy union. Easy-to-navigate — and including meaningful exercises, hard truths, and conversation starters — this book is designed to nourish and guide relationships for the long haul. 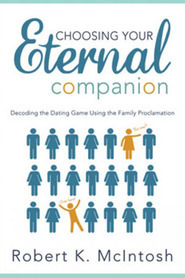 This special gift or small group conversation starter will also appeal to pastors, marriage counselors, and anyone looking to nurture marriage from the very beginning. Jim Burns founded the ministry of HomeWord in 1985 with the goal of bringing help and hope to struggling families. As host of the radio broadcast HomeWord with Jim Burns, which is heard daily by more than one million listeners, Jim's passion is to build God-honoring families through communicating practical truths that will enable adults and young people alike to live out their Christian faith. In addition to the radio program, Jim speaks to thousands around the world each year through seminars and conferences. He is an award-winning author, whose books include The 10 Building Blocks for a Happy Family and Devotions on the Run. Jim and his wife, Cathy, and their three daughters live in Dana Point, California. 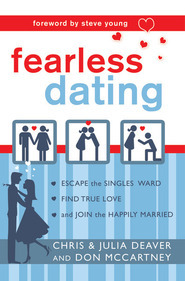 The author of more than 20 books, including Purpose Driven Youth Ministry, Creative Romance and 100 Fabulous Ways to Flirt with Your Spouse, Doug Fields is a national speaker, teacher, and director of student ministries at Saddleback Church Lake Forest, California.